With these sets of eight rings, any routine is possible, from the basic (provided with each set in the form of detailed, illustrated instructions), to the most complex, like Dai Vernon's "Symphony of the Rings." 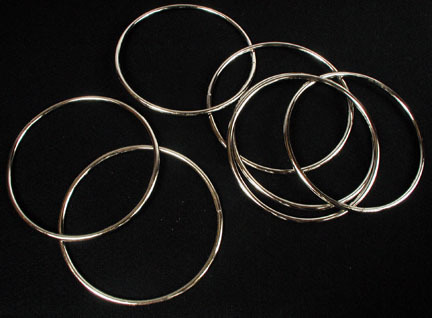 These sets of rings are heavy duty, and are made to last. The perfect beginning set of Linking Rings.